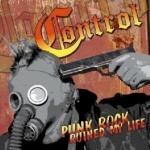 Control - my favourite of the current crop of British streetpunk bands have a video for the track He's A Skinhead from their excellent new album Punk Rock Ruined My Life online now. They've managed to surpass their brillaint debut album 'Hooligan Rock n Roll' with this one. They're supporting Lars Fredericksen's side project The Old Firm Casuals on many of their UK dates and playing Rebellion. Huge collection of well over 20 music papers being added to the database. There's vintage NME. Sounds, Melody Maker and Record Mirror, mostly from 1977 - 1983. Amongst them are some of the highly sought after Clash and Pistols covers, plus other gems like the pictured Joy Division, Jam, Devo and Blondie and some of the second wave of punk bands like: The Exploited, Peter & The Test Tube Babies and The Adicts. Of all the music papers Sounds is the one I miss the most, used to really enjoy reading that, was always more cutting edge and interesting than the NME, which sadly is all we're left with.